Mullaperiyar Dam Dispute: Irreparable structural damages to Mullaperiyar dam or is it an 11 year old new and safe dam? Irreparable structural damages to Mullaperiyar dam or is it an 11 year old new and safe dam? 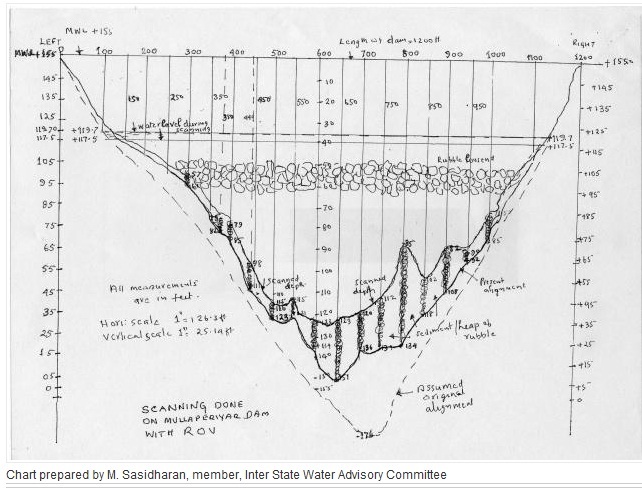 The Central Soil and Materials Research Station (http://mowr.gov.in/writereaddata/linkimages/anu123112470069.pdf) , on directions from the Empowered Committee appointed by the Supreme Court, found severe damages to the masonry structure of Mullaperiyar dam. They used a remotely operated underwater vehicle (ROV) for the underwater inspection on the upstream face of the dam. Potholes, crevices and loosened rubble were found in the masonry structure of the dam between 95 and 106 feet from the base of the dam. Irreparable deterioration was noticed in all 34 sections of the dam resulting from erosion of lime surki mortar from the rubble joints. 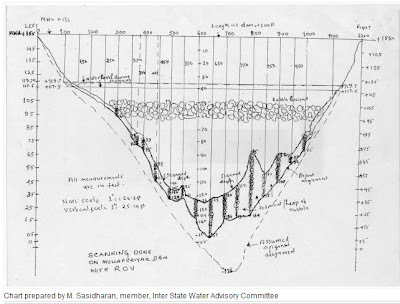 Some of the damage was caused by mistakes in the strengthening works carried out by Tamil Nadu since 1979, based on the recommendations of the Central Water Commission, according to M. Sasidharan, retired engineer and Kerala's observer during the scanning. In the mean time Chief Minister Oommen Chandy announced that a dam break analysis is awaited from IIT Roorkie, with whom the Kerala Government has signed an MOU for the analysis. As per the newspaper report, the underwater inspection was performed using a 'remotely operated (underwater) vehicle' or ROV.